I have never been the type to do things for the sake of doing them. Not just with teaching, but with everything. It is important that I see the value in what I do, and I get the most value possible. Basically, I always want to make sure I'm getting the most "bang for my buck". This same mentality follows me into the classroom. One area, in particular, is independent reading time. In my classroom, my students read daily, usually during guided reading time. There is at least a 45-minute block where students are reading or writing about their reading. This time in my room is not for games, centers, or anything else. It is just about the reading! Over the years, I have found a few simple activities that I incorporate into my students' reading time to make it more meaningful. Don't let the word "simple" throw you off. By "simple", I do not mean easy or tedious. 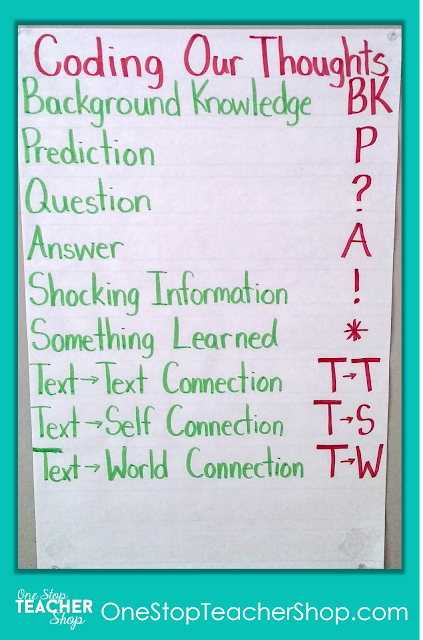 These activities are simple for the teacher to implement, yet require the students' to think deeply about what they are reading. At the very beginning of the year, I do a lot of work with sticky notes and teach my students how to code their thinking as they read. 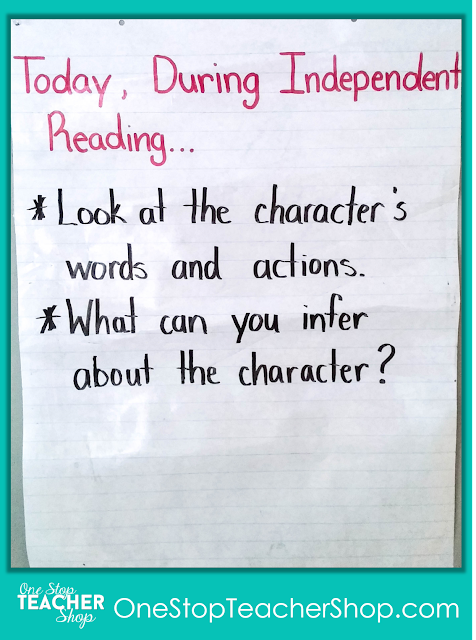 This is critical during independent reading time. 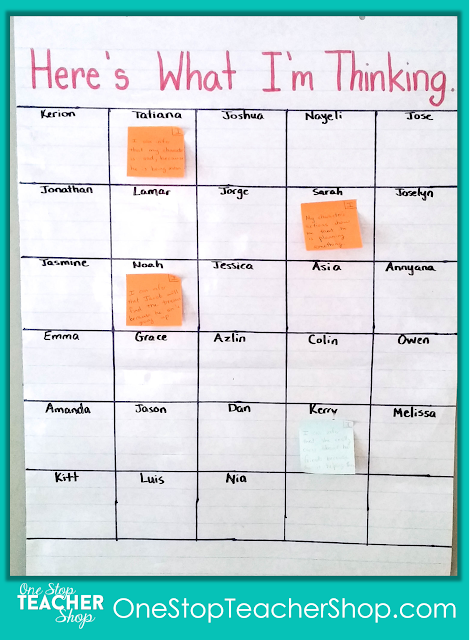 My students use sticky notes to write and code their thoughts and ideas, and I use them to learn about how my students are reading their books. I ask that they stick the notes on the page where they had the thought, and leave them there until we discuss their book, or they are finished. These sticky notes are not turned in daily but are used during student/teacher conferring time, or during "book talks" when a student completes a book. Once this process is taught, it is a great way to ensure students make their reading time meaningful. Sticky notes force students to really think about the book they are reading, and they hold them accountable for this time in the classroom. Each day I write a question on the board for my students to think about as they read their books. They are responsible for responding to the question on a sticky note and turning it in on our sticky note poster. This activity allows me to quickly & informally assess their knowledge and understanding in regards to our current lesson. This activity is in addition to their other sticky notes. At least one day each week, I ask my students to choose a short, Fiction or Nonfiction text for their reading time. I have a huge selection of books and articles for them to use. Once they choose a text, they have to complete the activity sheet for that week while they read. The activity sheet is based on what we have learned in class, past or present. These sheets make my job way easier because they can be paired with any text the students choose, and they align perfectly with the skills I want to reinforce. If you are in need of some FREE articles, you can check out my other post Websites for Nonfiction Reading for Kids. Be sure to download a few FREE Fiction and Nonfiction reading activities while you are here! 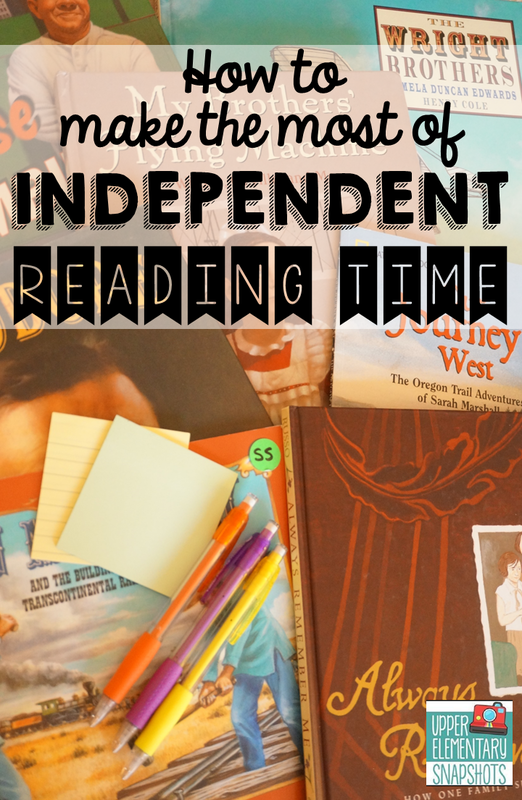 These 3 activities are the perfect combination for making the most of independent reading time all year long! 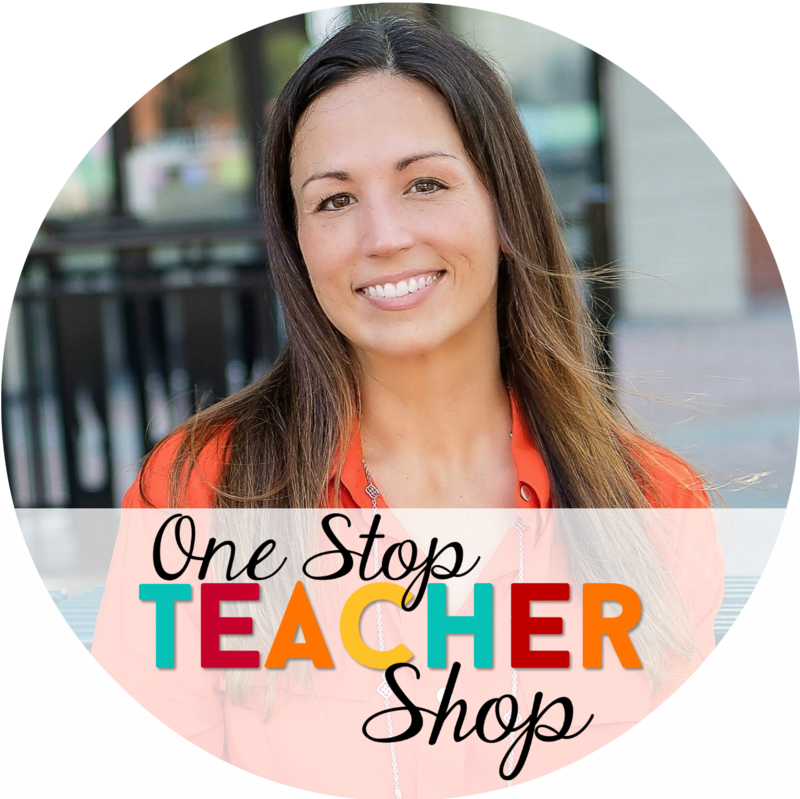 They encourage my students to read, think about their reading, and write about their reading without being overwhelming for myself or my students. Really...what more could I ask for? 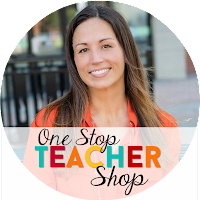 Check out even more resources and ideas for Reader's Workshop on my Pinterest Board.